Walk into the building that houses the African Caribbean Dance Theatre on any of the two days that the troupe rehearses and it’s definitely an electrifying experience. The sound of drums are deafening. Dancers twirl their hips, stomp their feet, clap their hands. All to the beat of the drums that never stop. At least not for an entire hour. For more than 20 years, Marcus and Jevelle Robinson have been the catalyst for making the African Caribbean Dance Theatre, a staple in Tallahassee. They’ve become so renowned that they are in demand in other parts of the state. 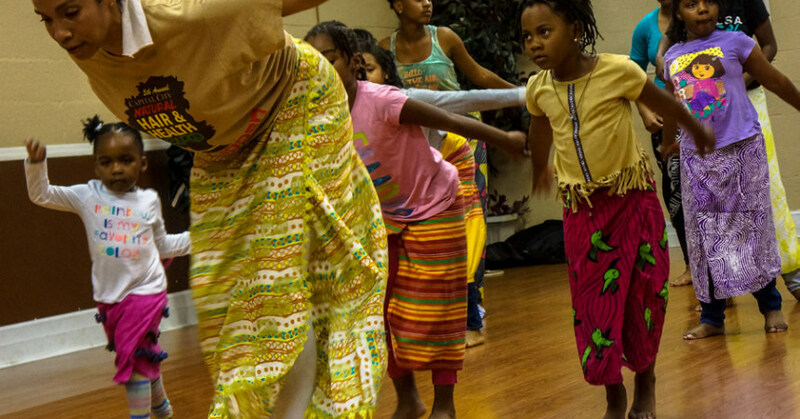 The theatre’s popularity has grown to the point that an annual Florida African Dance Festival it stages each summer is one of the most popular African art performances in the Southeast. 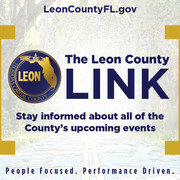 The event, which will celebrate 20 years this summer, also features workshops and runs over three days. The troupe is made up of a cross-section of mostly women. Not all of them are there for the experience of being able to live their perception of African culture. Some go for the exercise or bonding with their children and friends. Take Tiffany Thompson, for example. She has four children who are part of the theatre. Thompson first experienced the same troupe when she was a child. For years she searched to find a place to practice the same dances she’d seen. Ironically when she discovered the theatre it was the same troupe she saw as a child. 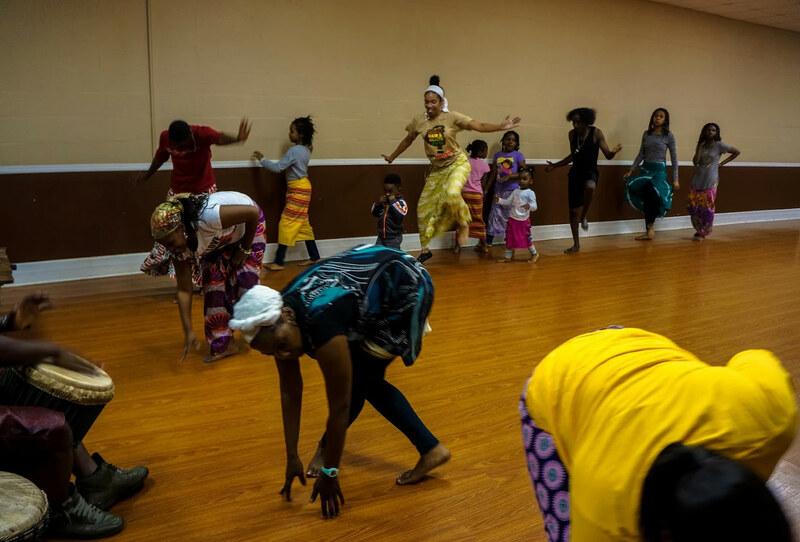 Nowadays Thompson and her children join a group of men and women each Tuesday and Thursday for an hour-long trip into the world of African dances. The movements seemed structured, swinging of arms as they pranced in a circle or straight in a line. In some cases, they stumped forward with their hands to their heads, as if they were describing agony, swaying their heads side to side. In other moves, they concentrated on swinging of the hips. All the time dancing barefoot. The dances are all the creation of Marcus Robinson, who has the title of artistic director. Each dance move is a form of storytelling, he said. “Kind of like the English language,” is the way he puts it. Robinson doesn’t give names to the dances. He prefers to refer to them as a vocabulary or movements. That’s why, he said, that grasping the concept of telling a story in dance isn’t always the easiest feat. But it won’t be completed without the drums. The beat seemingly drives and inspires the dancers. The beat was consistent and at times when the rhythm shifts, the dancers go into a different pace. But always fast. Thirty minutes into the rehearsal, there wasn’t a dry body in the building. Sweat beaded up on the dancers’ faces. The drummers, too. 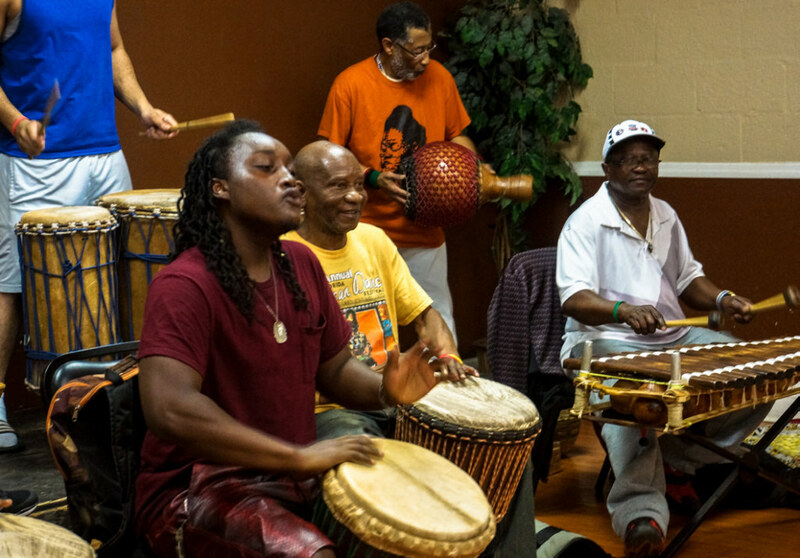 Shawn Lawrence, a drummer who stood in the group, was zoned in as he pounded away on three drums. A balafon carried the rhythm. The musicians seemed passionately engaged.